Headquartered in Dearborn, Michigan, builds cars and trucks that are driven all over the globe. 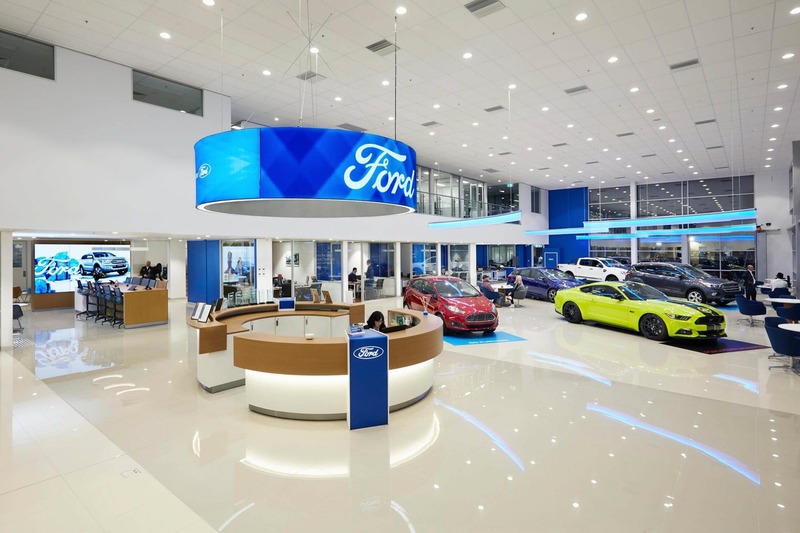 Ford initiated an interior refresh of all its Signature Facilities and engaged our team to provide consistent branding. 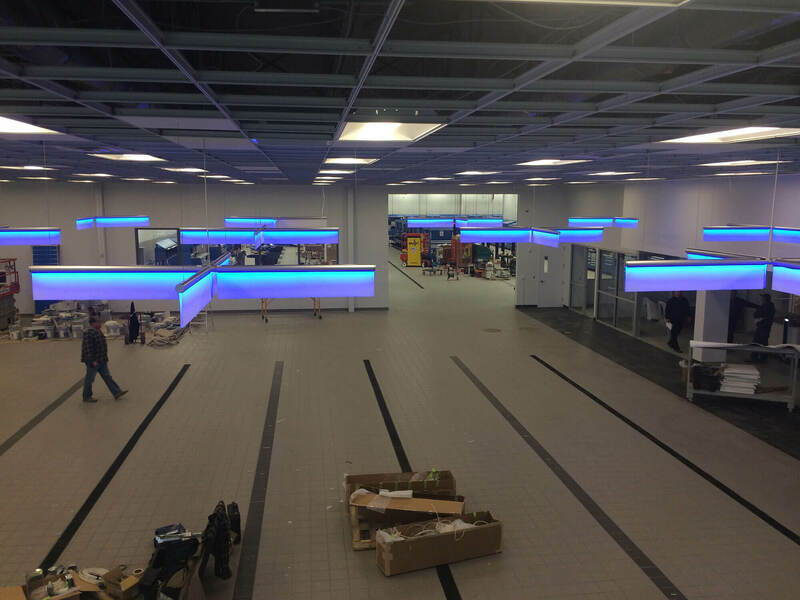 One of their designers had come up with a unique brand experience for Ford and their new facilities, and they needed support to bring it to life. We were tasked with executing the design intent to fit with the brand initiatives, while reducing costs and improving design details for installation consistently across facilities. 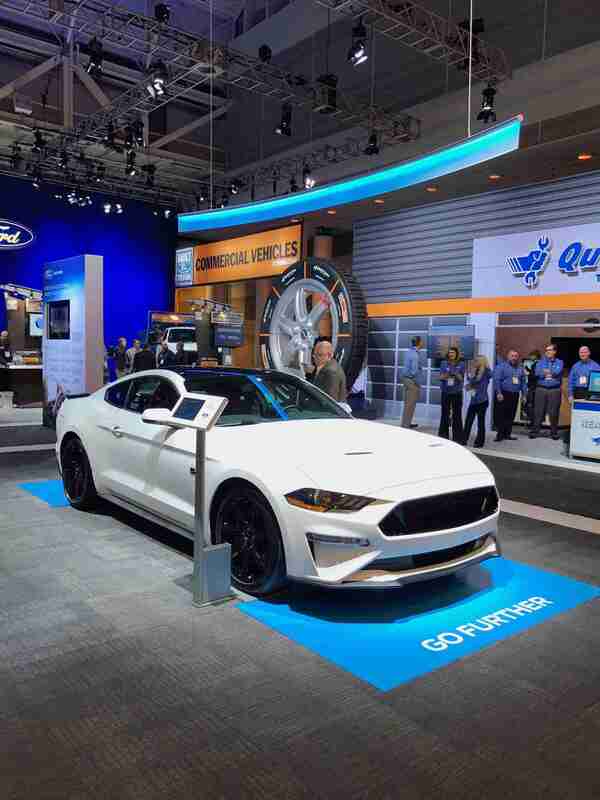 Ford needed a solution that was not only economical, but also captured the essence of their designer’s intent while maintaining visual appearance and global scalability. Our team worked alongside the designer and Ford architects to create low and high-fidelity prototypes for light rafts, blades and halo, as well as custom signage. 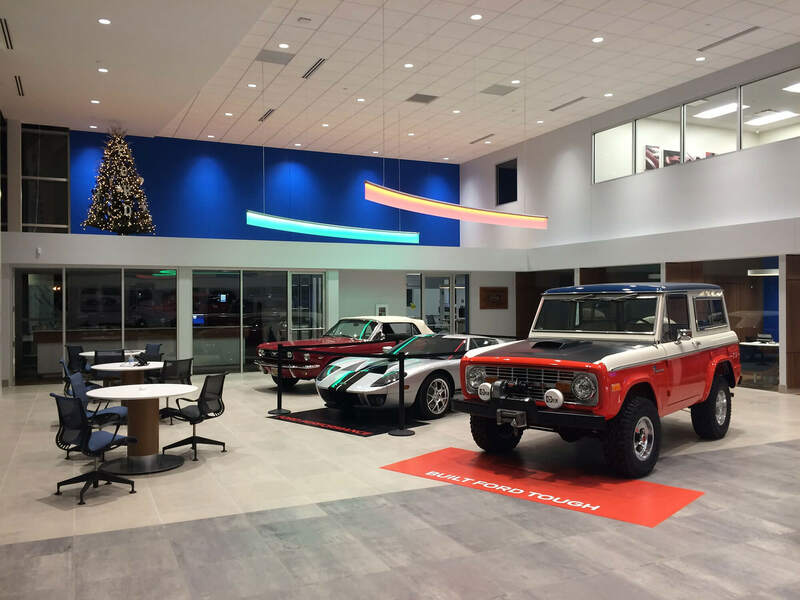 In addition, we were able to design and incorporate a mobile app that gave the dealer the ability to change the color of the product-based light fixtures. 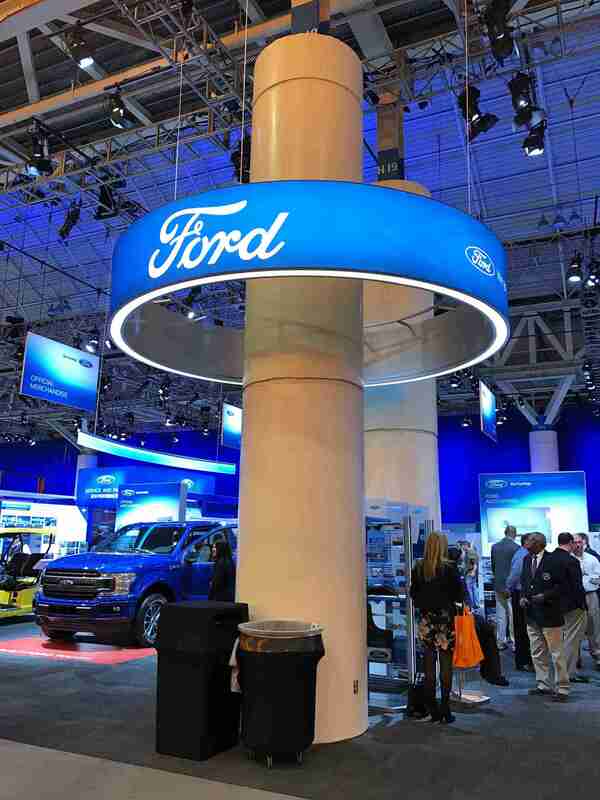 Very specific colors that support the Ford color palette were developed and incorporated into the app. Today the app is deployed, along with the product, across locations worldwide, thereby delivering a consistent and dynamic image. 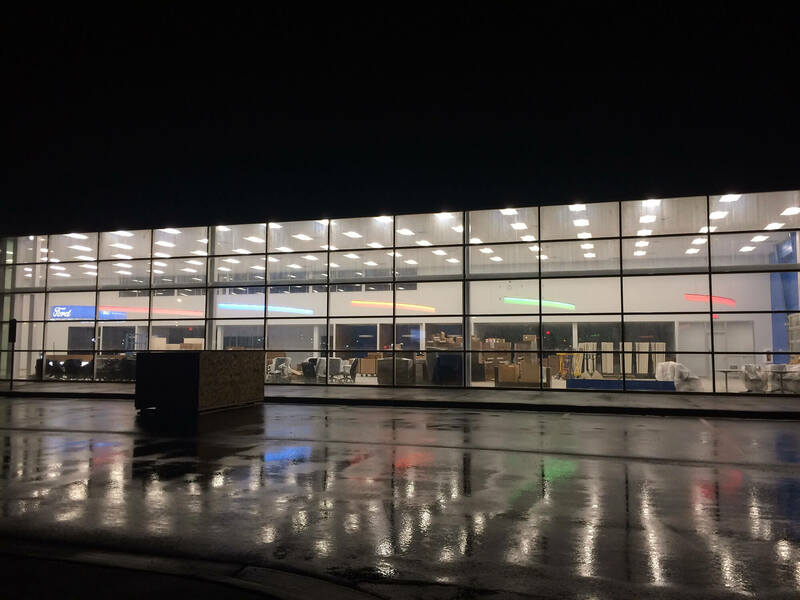 While there are products in the lighting industry that provide some of the characteristics, only AGI offers a customizable solution that captured all of Ford’s needs. The key to all of our offerings was our ability to quickly prototype all products in full-scale in a short time period. Over the life of the project, both the mobile app and product will be used globally across 1,250 locations—ensuring a consistent look and feel from facility to facility. 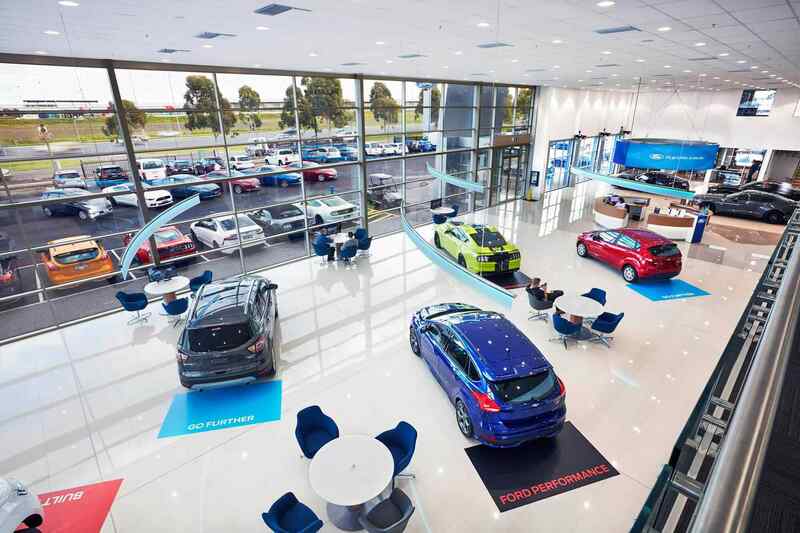 As for the country-specific certifications and compliance certificates, the products we developed alongside the Ford teams are now approved on six continents. 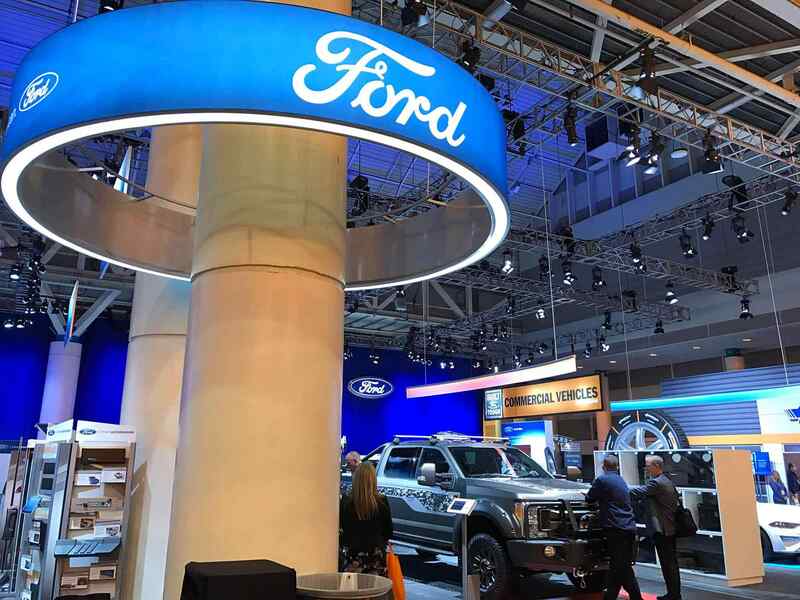 To accomplish this, we developed foreign-based manufacturing and project management support that could guarantee we overcame every obstacle and delivered nothing short of excellence to Ford Motor Company.